The year’s biggest phone trends may well be foldable phones and all-screen designs, but you can at least get close to one of those for under $400 with Oppo. There’s a good month or so to go until the world gets to see a slew of new smartphones heading its way, both from Samsung’s Galaxy S10 launch and whatever comes after at Mobile World Congress, and already we’re seeing a new phone or two come out to start 2019. Oppo appears to have the year’s first, launching a budget model aimed at delivering a big screen and big battery, but with a price that is actually fairly modest. 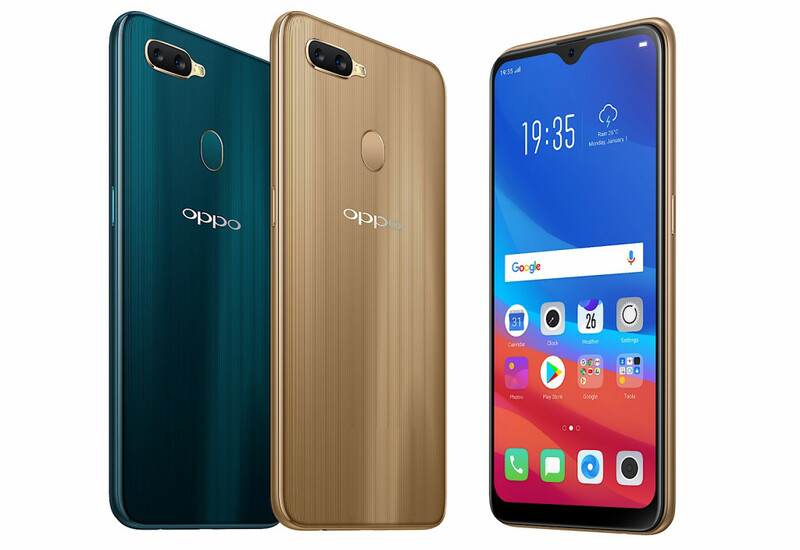 Launched as the AX7, it’s Oppo’s first of the year, offering a massive 6.2 inch display with Oppo’s tear-drop full-view screen design we saw on the R17 Pro late last year. Granted, the resolution is a little lower at HD+, but there’s a massive 4230mAh battery underneath to help deliver a more than a day of life, and given the specs, we’d suggest two might well be possible. The Oppo AX7 will also come with Qualcomm’s eight-core Snapdragon 450 chip, pairing this with 4GB RAM and 64GB of storage, the latter of which can be upgraded with a microSD card. As is the trend lately, there are two cameras on the Oppo AX7, with a 13 megapixel F2.2 camera accompanied by a 2 megapixel F2.4 to handle the soft-background portrait images, while the front gets a 16 megapixel F2.0 camera. Almost everything else is fairly typical for a phone, with 802.11a/b/g/n WiFi, Bluetooth 4.2, and 4G LTE capable of delivering Category 6’s 300Mbps down, with a microUSB port for charging and data and a 3.5mm headset port. You won’t find water-resistance or Near-Field Communication (NFC) on the Oppo AX7, though there is a fingerprint sensor on the back, as well as Oppo’s flavour of Android 8.1 “Oreo” which in ColorOS can look a lot like iPhone, making it a little easy for people to make a jump from iPhone to something else. “The AX7 is Oppo’s next premium-grade smartphone, giving Aussies access to a beautifully designed smartphone and amazing features, without having to break the bank,” Michael Tran, Managing Director for Oppo in Australia. “We believe our customers shouldn’t have to compromise on quality or design when choosing an entry-level smartphone,” he said. 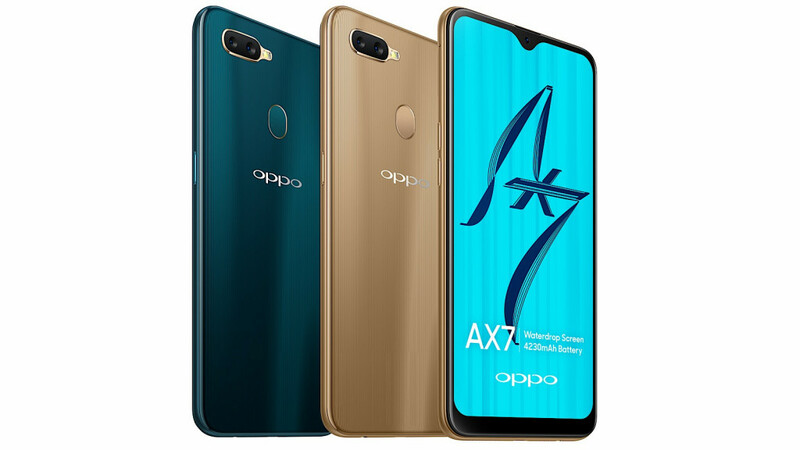 Australians keen on finding the Oppo AX7 will find two flavours of it, with a locked version arriving on Optus this week for $319, while stores will get an unlocked outright edition for $399, likely within the next few weeks.